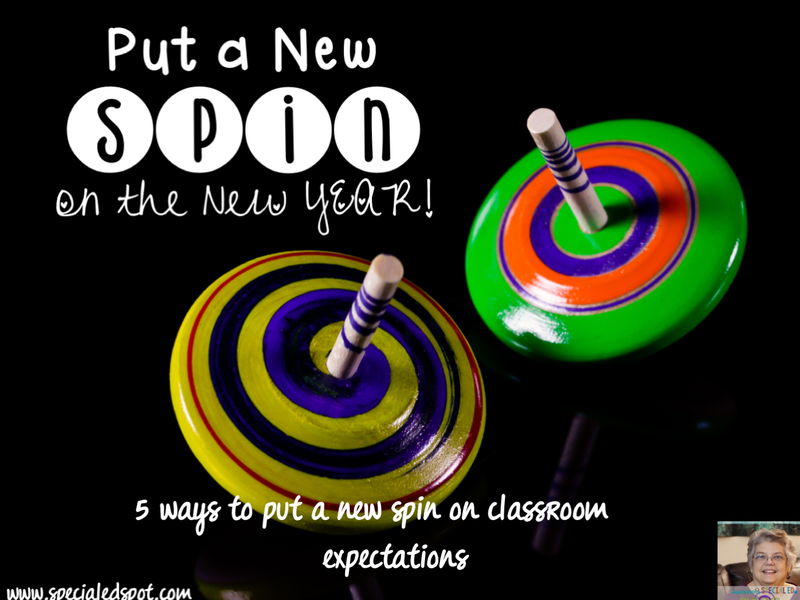 Putting a new Spin on the NEW year! I hope your holidays were really special ones. I hope you had time to enjoyed your family and friends and hopefully taken some time for yourself. I love the start of a new year! New beginnings. Fresh starts! Time to revamp, reorganize and rev up for more progress in the classroom. But...where do you start? I start by looking at the framework of the classroom. Not the physical framework, but the rules, procedures, schedules, centers and routines. First thing I do to get a fresh start is to revisit routines, procedures and classroom schedules. Whether you are using the same routines and procedures from before the break or you are changing them to adjust to your students needs, spend some precious time that first day and even the first week back reteaching exactly what you expect from your class. Here are a few things to consider when revisiting classroom procedures. Was your rotation of centers not working? Too confusing? Perhaps an area was getting too crowded. 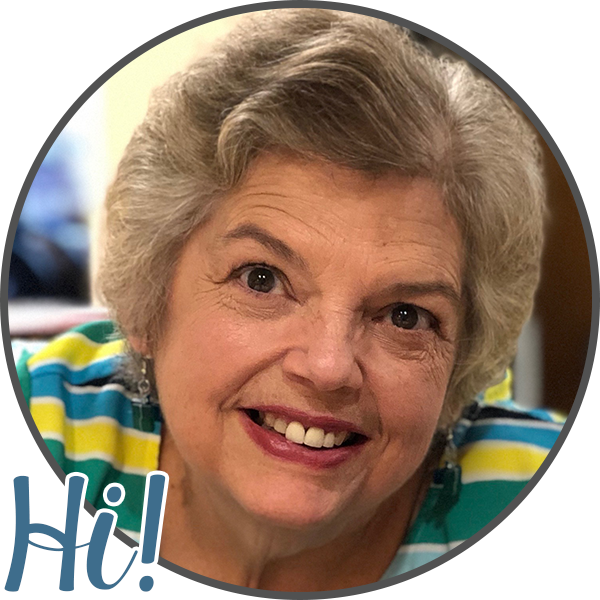 Are your classroom rules working? Look at what you want to change. Ask yourself if you have control to change it. Some things can be changed. Others, you have no control over. Change and tweak what you can. Now find some ways to present your students with what you want them to do. Present this to them in in as many different ways as possible so everyone understands and has an opportunity to practice what they should do. Here are some ideas about how to do this. Include the reteaching activities in morning meeting for several days that first week back. Depending on your students' levels and abilities, you can have a discussion about your expectations. 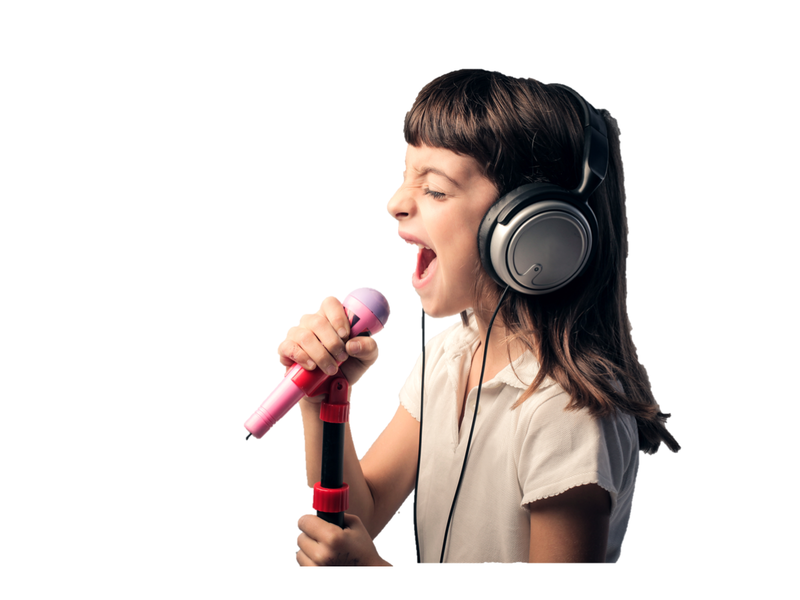 Include songs, rhymes, jingles and poems that include actions and sayings about what is expected of them. I found morning meeting to be an excellent time to include this review time for rules and expectations. 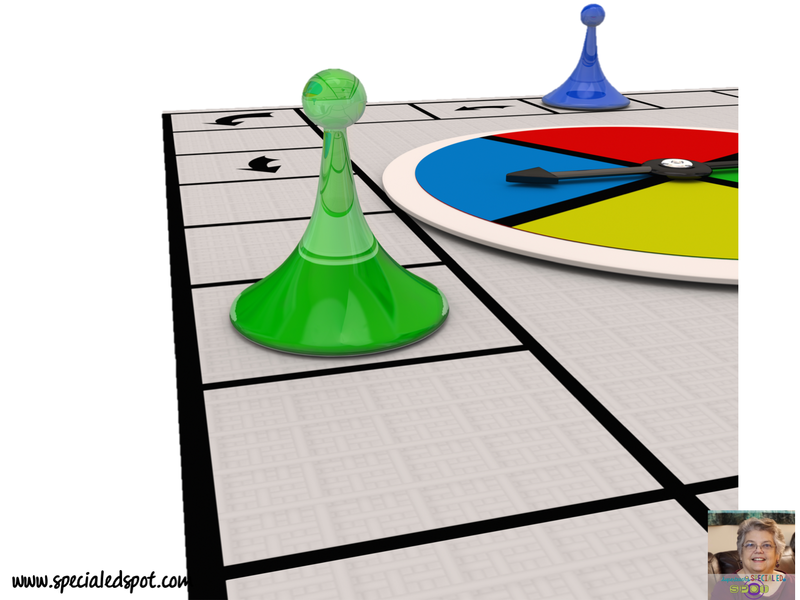 Use games to teach appropriate choices in procedures and routines. 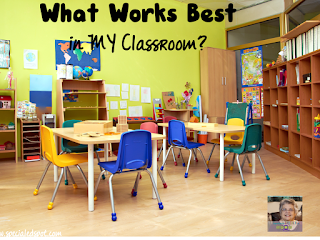 This works particularly well when teaching procedures for centers and and work areas. Choose a generic gameboard and make cards that are specific to your class rules. The kids LOVE playing games and probably won't even notice they are learning at the same time. The game can be played throughout the year whenever your kids need a quick reminder of expectations and routines. 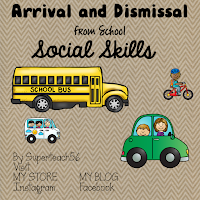 Use social skills stories to teach what you want them to do in specific situations such as arriving and leaving school, going to places in the school environment such as the lunchroom or the library. 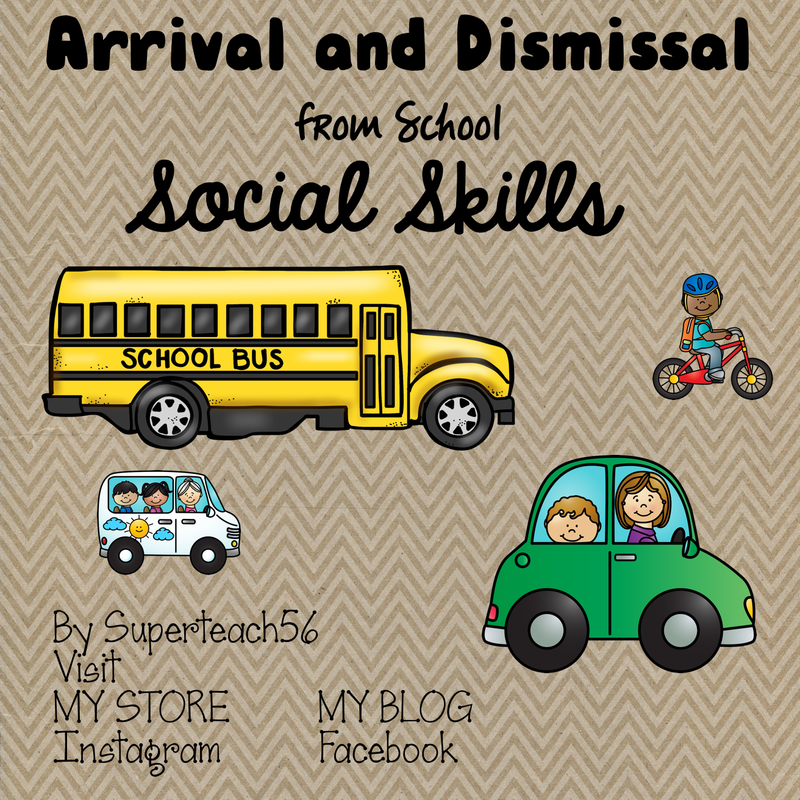 Read the social skills stories over and over with groups and individual students needing extra instruction in the particular areas. My kids love to role play. Just like we would practice a play or performance, we practice what correct procedures are in the classroom for things like lining up, going to the library, coming to morning meeting. If we are acting out center time then some of the kids play students and some play the teacher and or paraprofessionals. 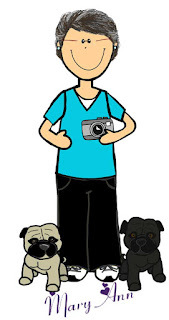 Then we switch roles so everyone gets an opportunity at all the roles in the situation. 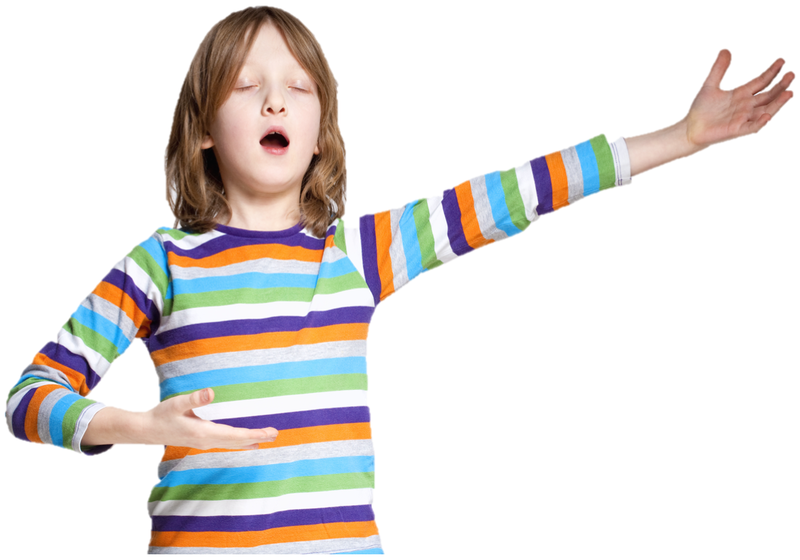 Songs, music, jingles and rhymes have a way of making their way into our heads. This makes them excellent means of remembering information later. There many songs and rhymes already written. I'm sure you know some. Here is a site that has a few - Songs for Teaching . If you want some that fit more precisely to your rules and directions, try making your own. Take a common tune that is in public domain, such as Twinkle Twinkle Little Star. Modify the words to fit an expectation you're teaching. What activities and lessons do you use for reestablishing classroom procedures? Please leave me a comment and let me know. What works for you can also help someone else.